Join GroupHEALTH Benefit Solutions® today and become part of an organization that istransforming the way Canadian's experience benefits. 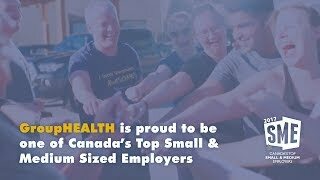 Our mission is simple;We develop and deliver the most cost-effective employee benefits solutions to Canadian businesses. GroupHEALTH is accelerating - and you provide the fuel. We are currently looking for aSoftware Engineerto join our team in Surrey, BC. The Software Engineer will work with a team of passionate people that value everyone's opinion. We have a very diverse team that are working towards an agile methodology in an Continuous Delivery environment, and are aimed at being a disruptive force in the insurance industry. Be introduced to theIT Team and start to build relationships. Be introducedto the organizations current Project Managers and Business Analysts. Review and understand the current Project Governance Process and our SDLC. Grow to become a key and valuable member of the team. Work with theDevelopment Manager to develop goals and objectives for the coming year. Working in a Continuous Development environment utilizing the Atlassian suite of products, Jira, Bamboo and Bit Bucket. BeingExcited by technology and keeping up to date on the latest and greatest. 3 years Object oriented programming experience required. Diploma/Degree in Computer Systems or demonstrated experience is required. Want to be part of a rapidly growing company that is transforming the way Canadian's experience benefits? Apply now! We thank everyone who applies to the Software Engineer role; however, due to the volume of applications we receive, we are only able to contact candidates who have been selected for an interview. We are currently looking for aSoftware Engineerto join our team inSurrey, BC.The Software Engineer will work with a team of passionate people that value everyone's opinion.